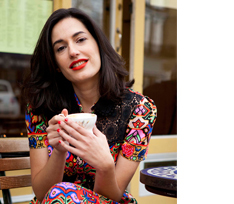 Kiki is a Fashion and Sittings Editor based in New York. She is a Contributing Fashion Editor for Glamour magazine and Contributing Editor for Tank and SHOWstudio. She also writes for Vogue, Style.com and Vogue.com.